At a cost of $1 plus a few extra cents per minute, where could a motorized scooter take you? This transportation option is growing in popularity, with the most popular rental services reporting hundreds of thousands of riders utilizing the service in a growing number of large U.S. cities. The growth is attributable to a new business model which differs from traditional rentals. The scooters are rechargeable and do not have to be returned to a specific location, making them available anywhere riders drop them off when they are done riding. While inexpensive and convenient, they are still motorized vehicles and are still dangerous to riders and pedestrians. One major hospital in Los Angeles reports a “definite increase” in patients seeking treatment for head, wrist, elbow and hip injuries related to scooter use. Many riders are not wearing protective gear. In addition to pedestrians at risk of collision, motorists should be on the lookout for a growing number of riders recklessly crossing intersections or sharing roadways. 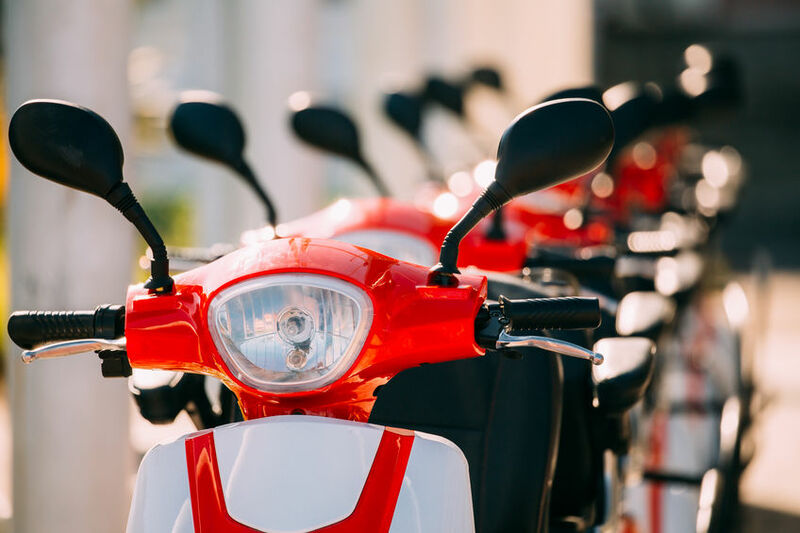 Scooter renters should also be aware that traditional homeowners, renters and condo owners insurance policies likely will limit or exclude injuries sustained or caused to others or property damage caused while on a rented scooter.